A true and accurate knowledge of the Trinity is a blessing in and of itself. Any revelation of God’s truth is an act of grace, of course, but the Trinity brings to us a blessing far beyond the worth normally assigned by believers today. Why? Because, upon reflection, we discover that the Trinity is the highest revelation God has made of himself to His people. It is the capstone, the summit, the brightest star in the firmament of divine truths. As I will assert more than once in this work, God revealed this truth about himself most clearly, and most irrefutably, in the Incarnation itself, when Jesus Christ, the eternal Son of God, took on human flesh and walked among us. That one act revealed the Trinity to us in a way that no amount of verbal revelation could ever communicate. 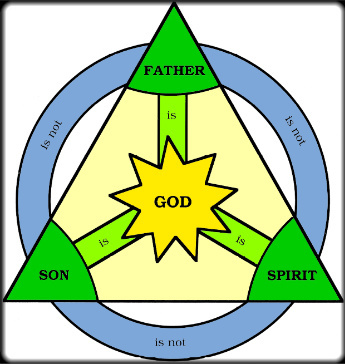 God has been pleased to reveal to us that He exists as Father, Son, and Holy Spirit. Since God feels it is important to know, we should likewise. And since God went through a great deal of trouble to make it clear to us, we should see the Trinity as a precious possession, at the very top of the many things God has revealed to us that we otherwise would never have known. When Paul wrote to the Colossians, he indicated that he was praying for them. He did not pray that they would obtain big houses and fancy chariots. He prayed that they would be blessed by God in the spiritual realm with spiritual wealth. How is one “rich” spiritually? One is rich spiritually who has a “full assurance of understanding.” How many people today can honestly claim to have a true understanding of God’s nature so as to have “full assurance”? Or do most of us muddle along with something far less than what God would have for us? Do we long for a “true knowledge” of Christ? When we sing, “Lord, I want to know you,” do we really mean it, and then take advantage of the ways He has given us to attain this “true knowledge” of Him? To know Christ truly is to know the Trinity, for God has not revealed himself in such a way as to allow us to have true and balanced knowledge of the Father outside of such knowledge of the Son, all of which comes to us through the Spirit. A person who wants to “know Jesus” must, due to the nature of God’s revelation, know Him as He is related to the Father and the Spirit. We must know, understand, and love the Trinity to be fully and completely Christian. This is why we say the Trinity is the greatest of God’s revealed truths. James R. White. Forgotten Trinity, The (p. 14- 15). Kindle Edition.